Mokonyane willing to present her side of story at Zondo Commission - SABC News - Breaking news, special reports, world, business, sport coverage of all South African current events. Africa's news leader. The former Bosassa CEO Angelo Agrizzi implicated Nomvula Mokonyana during his testimony at the State Capture Commission. ANC National Executive Committee member Nomvula Mokonyane says she is ready to appear before the Commission of Inquiry into State Capture to respond to the Bosasa allegations. When former Bosasa Chief Operating Officer Angelo Agrizzi testified before the commission, Mokonyane became one of the most high-profile people to be named in the saga. In a letter to the commission, chaired by Deputy Chief Justice Raymond Zondo, Mokonyane’s lawyer’s criticised the perceived conduct of the commission’s officials and the fact that she was not given notice that she would be implicated in Agrizzi’s testimony. Mokonyane allegedly received gifts and bribes from Bosasa in exchange for the “protection” of the facility and management company. 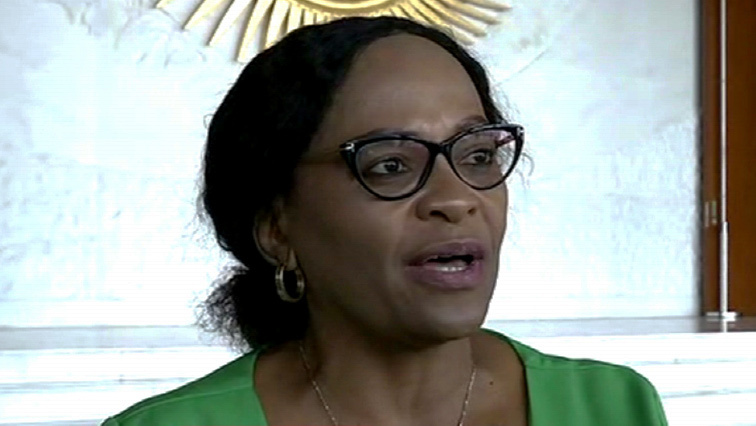 In an exclusive interview with the SABC on the sidelines of the AU summit in Addis Ababa, Mokonyane says, “I’m looking forward to an opportunity where I will present my side of the story. We have written to the commission, we have requested the submission just like any other person who gets affected, that has not yet been provided to us. Once that has been provided, we’ll make a proper presentation before the Zondo Commission. No one has ever heard me saying my side of the story but I do believe that once we get that and we get to the Zondo Commission, this matter will be laid to rest. Agrizzi said he was responsible for packing the monthly bribes, which the CEO of Bosasa, Gavin Watson allegedly paid in cash directly to Mokonyane. This entry was posted on 09 Feb 2019,03:16PM at 3:16 PM and is filed under Politics, News, Homepage Featured Story Slider. You can follow any responses to this entry through the RSS 2.0 feed. Both comments and pings are currently closed.